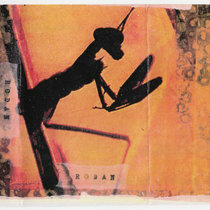 nicholas hamnett I do like to collect the Art that is vinyl! Even better when it's hand made with so much care and dedication, and, when it's limited. So far, I love this biker- gang album.Even (and against my usual judgement) the patriotically titled "This Land of Freedom." Like much of the rest of the world, I sometimes find a full on US Patriotic Song a tad offensive; if not for the gushing sentimentality, then for the presumption that the US somehow invented democracy and are its only shining example.I hope Americans will forgive me for that observation, non the less, it is how many folk out here in the wide world see it. When I was in The States, it did feel like you could barely breathe, or sit on a blade of grass in a city, without being moved on by the cops - kids at Disney Land included.NO Jaywalking.NO sitting on the grass.NO setting up a little fire for barbecuing; and definately, NO drinking in parks, nor on the streets neither - and certainly NOT without a brown bag to cover up a bottle of what we all know we all like to drink anyway! - and all that, you can happily do in my neck of the European woods, and people call you by your proper name to boot. The cops who moved my Euro-pals and I along, would insist on calling me "Sherlock" when nomenclatures like "Kojak" or "Columbo" or even "Bad Lieutenant" didn't even enter my head! I suppose, therefore, blasting down a vast freeway there, on a chopper, or a Harley D - sun on your back, your beard blowing in a cooling wind - does seem a lot like freedom.Just don't get off! 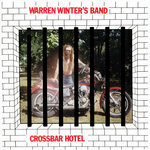 band vibe on this album - and certainly no one can have spent more time in a garage than "Warren Winter" and his Band. This patriot talk puts me in mind of a fondly remembered Geordie director mate, who on hearing the line: "This is our Independence Day!!" during the climax of the film of the same name, abrubtly got up from his seat, shouted "Oh, f**k off!" at the screen, and promptly left the cinema.I did similar on watching "Titanic" - it was either that, or throw up. The track "Prove My Love" has more than a smattering of the Johnny Cash about it, (that's a tick) and "Crossbar Hotel," too, is pleasantly reminiscent of "Please Judge" on the brilliant "True Love Cast Out All Evil" by Roky Erikson with Okkervil River.One of the most poignant and under appreciated albums ever.As for "Through The Years," - that is a stormer of a song for anyone with regrets! This isn't the "Camp Coffee" of Americana Mumford & Sons would have you sipping at. No ersatz substitute. It's the genuine, Full-Roast Bean. And I do like to slake my folk-rock thirst on albums by people who have actually lived it. "It" being a life outside of the box; or of their comfortable bedrooms, at the very least. And "it" may also include such as: not having one decent pair of shoes to your name, or the struggle to put bread on the table, or to even eat at all - never mind rise above your humble origins to actually achieve anything.In my opionion, if you've never done any of that, you've had it too easy. 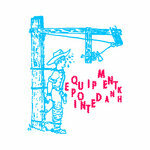 -olds like First Aid Kit, singing about the "tragedies" of a "hard" life via Townes Van Zandt! The Warren Winter's Band were a little more "earthy" than that, I think.The kind of people who knew the price of a cheese sandwich, and whose greased-up hands may even have stolen one (and more besides) in desperate times.That's fitting to the tenor of the album, anyway, so I will think so. My encounters with biker culture have been few. The time I was running like crazy across a field, one dark night of the countryside, springs to mind.A passing biker-gang had spotted my friends and I, ambling innocently along the roadside, and decided to turn their bikes around to go rough up this unexpected prey. Panting breathlessly, we legged it over the marrows, and hid low for what seemed an eternity.Eventually the bike lamps searching out across the field did fade and we were free to go home unmolested. adoring friend of my teens having his head smashed in by a biker swinging a belt buckle - slip a belt off your waiste: a handy weapon of choice for biker and rocker alike! retribution, I agree.But no less effective.My pal, himself, always did have "The Will To Fight," but I can tell you, it was the wrong fight that time. If I ever glanced through a biker's mag back then - at the dentist's maybe - I'd have been less impressed by the bikes, than by the politically incorrect "biker women" laying provocatively across the handlebars, I dare say. Not that I haven't wanted a bike at one time or another, just as I used to dream of the fancy sports car I'd be driving when I finally "made it." 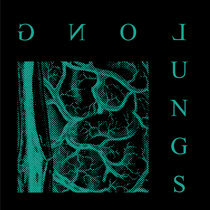 But I am steady enough now, on my two legs, and thoughts of this, my contribution to cleaner- greener air, do console me. 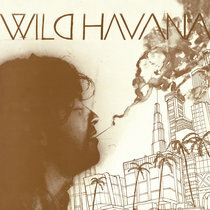 Though the album was laid down in the early 80's, it has much more of the previous two decades about it, and that, in my book, is a definate plus.It's salty, it's world-weary, it's tough and tender as biker's own leather; and, it is worth ever penny (or nickel, as you prefer) and that's coming from someone who learnt to count the hard way. 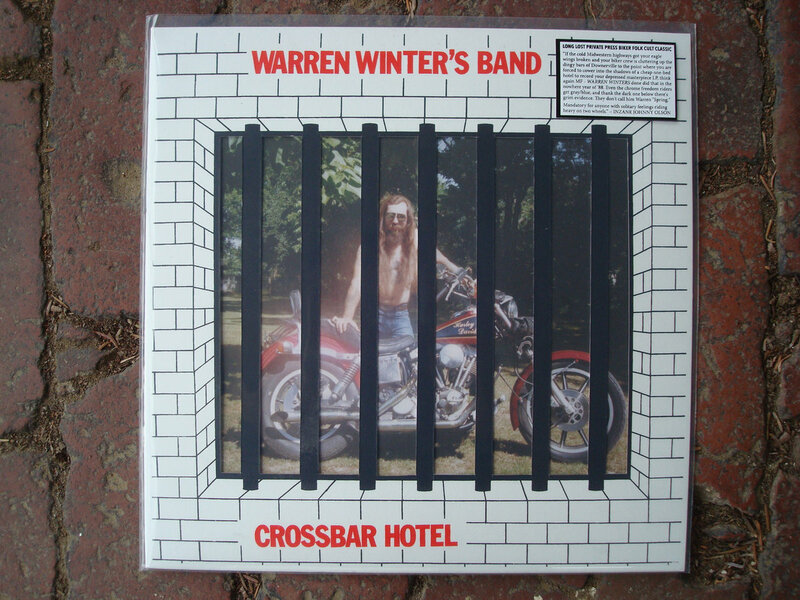 Wintehalder ("Warren Winter") meant nothing to me before I spotted this album.Unless he had starred in "Easy Rider" with Fonda and Nicholson, or made an appearance in that gritty little cult book "Chopper"
(maybe he did?) - read in my later school years - I wouldn't have known the first thing about him. Now that I do know who Winterhalder is - a folk-rock singer, fronting a band of ready outlaws who can play a bit; a man who knows a bit about bikes! I'm hoping, if I have to move on again, I can take his "Crossbar Hotel" with me.I do have a feeling this is going to be a keeper, which is just great for this...I almost said, "Patriot!" 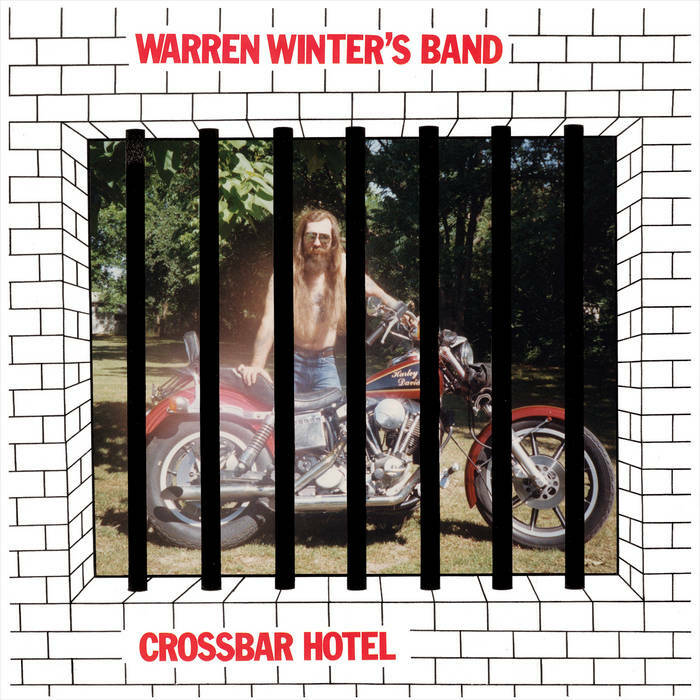 OFFICIAL 2019 REISSUE of the 1988 biker/loner-country classic "Crossbar Hotel" -- limited edition of 500 copies on black vinyl, housed in hand-printed, hand-cut jackets w/ both original and alternate inner-sleeve artwork. ADDITIONAL NOTE TO BUYER -- On that note, these records took an EXTREMELY LONG TIME to assemble with such immense attention to detail. While we did not feel comfortable charging more than the bare minimum of $21 (+ shipping) to cover our basic expenses, we ask that you please consider chipping in a few extra dollars toward the cause if you are financially at liberty to do so. Each copy is an original piece of art that we feel you will treasure for years to come. Thanks in advance for your love and interest in the Crossbar Hotel! 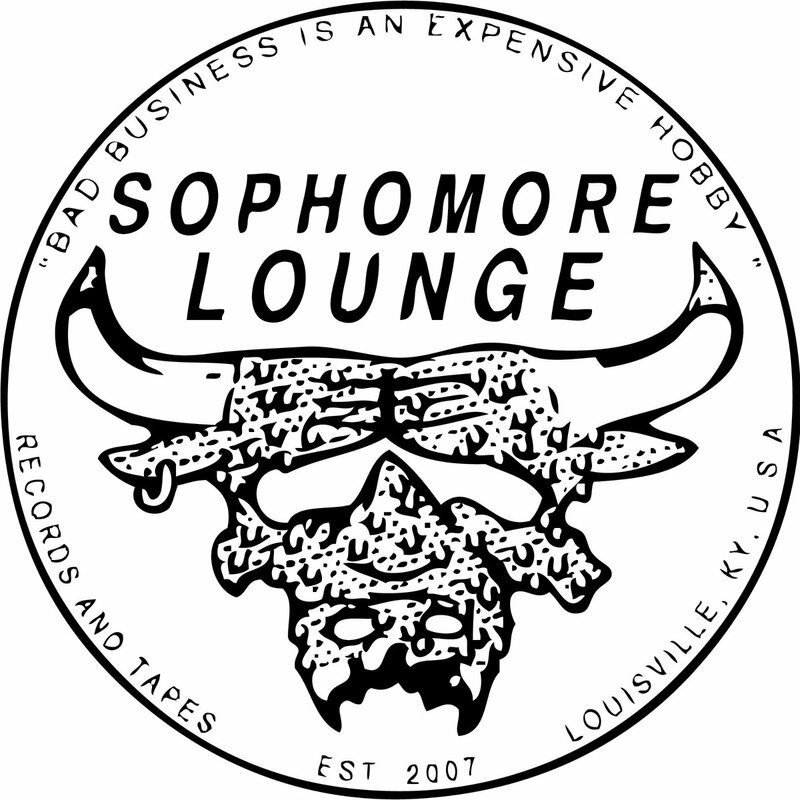 "If the cold Midwestern highways got your eagle wings broken and your biker crew is cluttering up the dingy bars of Downerville to the point where you are forced to cower into the shadows of a cheap one-bed hotel to record your depressed masterpiece LP, think again MF - Warren Winters done did that in the nowhere year of '88. Five years ago. I was aimlessly perusing my neighborhood record racks for lesser-loved musics when I stumbled across a rather unassuming album donning an amateurly rendered portrait of a long-haired man in white pencil on stark black backboard. 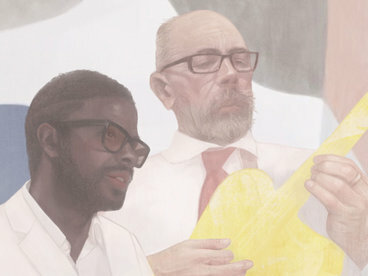 The portrait was illegibly signed, lacking any band or album title, with little more information on back and no evidence of a label's involvement. From what I could decipher, this was an album by the CONNECTICUT DUST BAND, recorded during the late '70's in, well, Connecticut of all places. A quick googling provided further fruitless in terms of any context or clues as to what the music might sound like. So, naturally, I anted up the $7 and went home with it. Upon first spin, the musical stylings were somewhat to-be-expected. 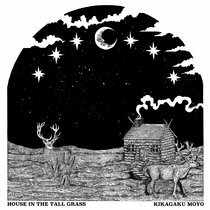 Simple, American classic garage-folk of the private press variety. Not home-recorded, but not high budget by any standards. Not as cracked as a MARK A. MCINTYRE, nor as psychedelic as a SIMON FINN, nor as beautifully pained as the great BOB DESPER (perhaps a less-sparse GARY HIGGINS is getting warmer). But nonetheless, easy-going on the ears, and memorable enough in its own subtly off-kilter charms to warrant repeated listens - leading me to dig deeper, if not just for my own entertainment, toward any semblance of biographical answers. 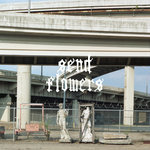 One thing led to another over an afternoon of attentive clicking, and I had soon discovered that the band's lead singer/songwriter, Mr. EDWARD WINTERHALDER, a motorcycle man by trade, had flown his Northeastern nest for the open roads of OKLAHOMA. Here, an hour east of Tulsa in a town called TAHLEQUAH (where he established his in-house SHOVSTER label), he not only came in close ties with the BANDIDOS -- a legendary "one-percenter" motorcycle club w/ over 5000 members worldwide, whom at the time referred to Winterhalder as "Connecticut Ed" -- but also went on to form his very own outlaw-biker musical unit under the WARREN WINTERS moniker. My interest in the mystery of Mr. Winterhalder continued to grow. 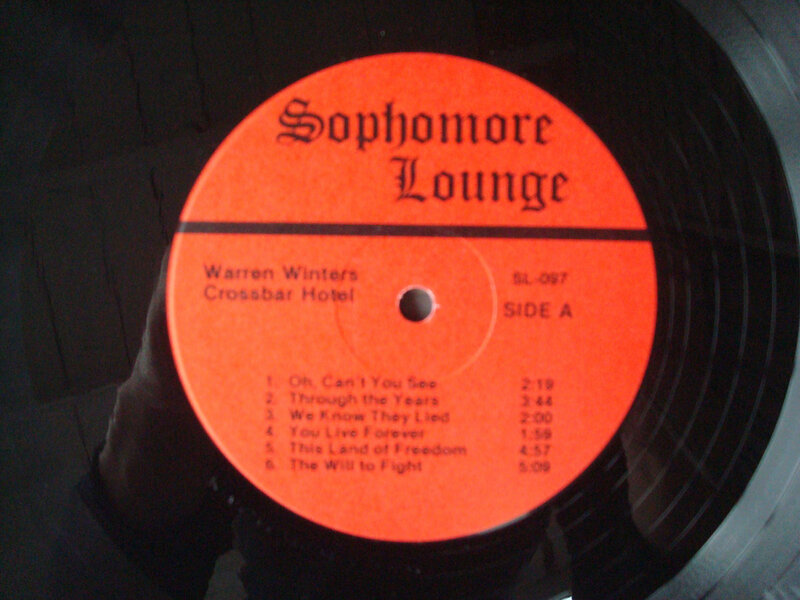 I needed to hear more, but both of the WARREN WINTER'S BAND LPs proved high-dollar items online. I spent a few months asking around for more info and/or leads on more reasonably priced copies, when further research eventually led me to the virtual doorstep of Winterhalder, then (and somewhat still) based in Michigan by way of his publishing company BLOCKHEAD CITY. Once there, I was forwarded to my target by his personal secretary, at which point he responded directly, thanking me for my interest and generously offering to mail me LPs from his nearly dwindled personal stash in exchange for physical releases of my own music. Of course, I agreed, and in turn received pristine/sealed copies of the band's debut full-length "AS I WAS" (SHOVSTER, 1984) as well as its 1988 master-slab "CROSSBAR HOTEL." 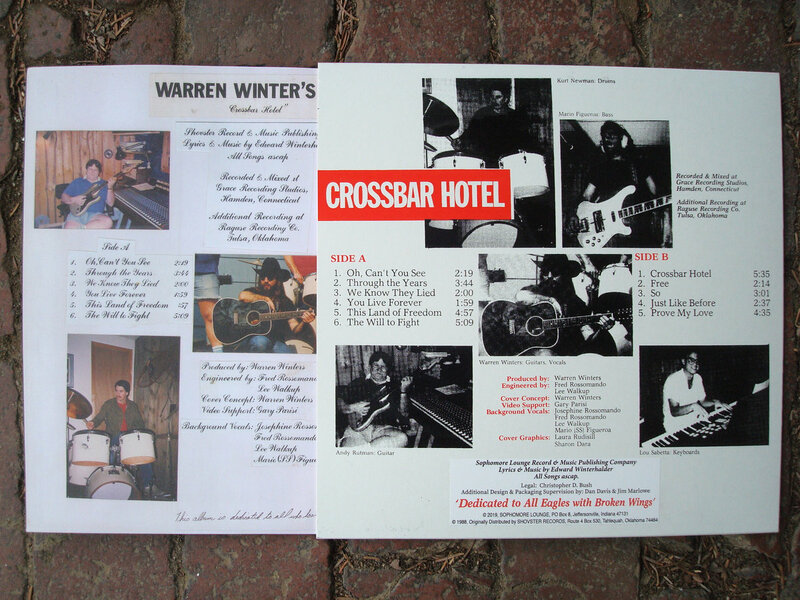 Fast forward a few years of regularly listening - I re-approached Winterhalder with the idea of reissuing 'Crossbar' as a 30 YEAR ANNIVERSARY type thing, not necessarily expecting anything to come of it, but confident in my own enthusiasm, if nothing else. To my surprise, he accepted my proposition. 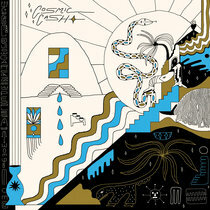 And after a year or so of various snags, primarily related to some unexpected damage that occurred to the original master tapes in storage, we're proud to finally re-offer the album in all of its original glory - eleven thoughtfully arranged, moderately produced prison hymns centered around un-uplifting lyrical themes that ride the range of drug abuse, soiled love, lost friendships, self-doubt, boredom, guilt, and all-encompassing solitude, sung through the proverbial bars by way of our pleasantly tuneful narrator. 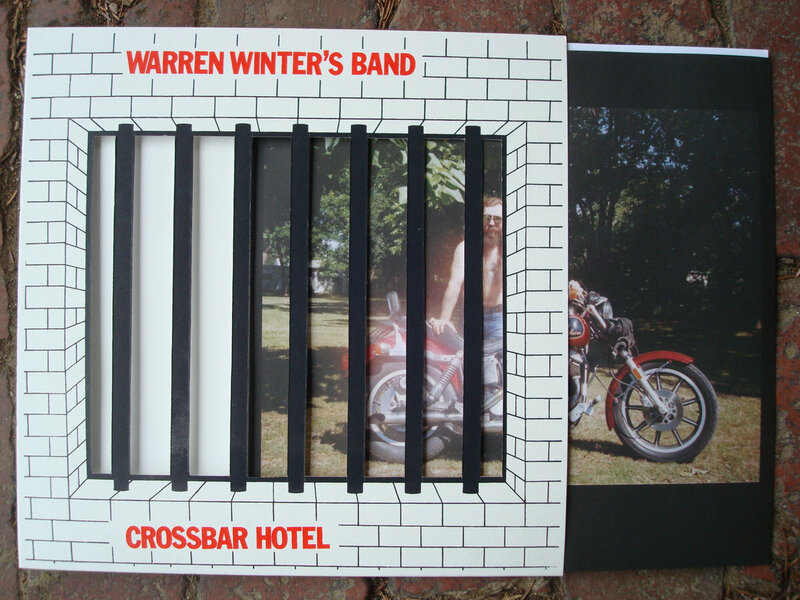 Warren Winter's Band's "Crossbar Hotel" reissue is available in a LIMITED EDITION pressing of 500 black vinyl records, housed in full-color inner sleeves (scanned from both original and alternate versions of the 1980s artwork) and painstakingly stickered / HAND-CUT / SILK-SCREENED JACKETS (manually printed in Charleston, WV by the off-duty goon squad TROPICAL TRASH). 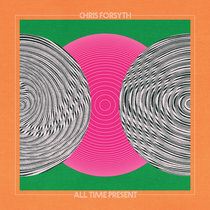 The album was mastered for vinyl repressing by CARL SAFF in Chicago, IL and is slotted for an APRIL 5, 2019 release via the SOPHOMORE LOUNGE label. At the time of this re-release, Winterhalder is based between Michigan and Dubai. He is considered to be the leading authority on motorcycle clubs and the outlaw biker lifestyle worldwide, and is an internationally known author, TV producer, and biker personality who has written eleven books about the culture. In addition to his literary endeavors, Edward has produced episodes of popular television shows such as Outlaw Bikers, One Percenters, Marked, Biker Chicz, Living On The Edge, and Gangland, and has been seen worldwide on Fox News (the O'Reilly Factor with Bill O'Reilly & America's Newsroom), CNN, Bravo, Al Jazeera, BBC, ABC Nightline, MSNBC News Nation, Good Morning America, Inside Edition, Bravo, History Channel, Global, National Geographic, History Television, and CBC. 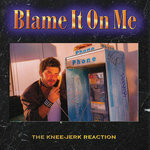 THE KNEE​-​JERK REACTION "Blame It On Me"